But did you know of all the cover versions out there, there is a recent cover that re-wrote all of the verses? Just a quick tip to keep track of the roller coaster that is Infraworks 360. 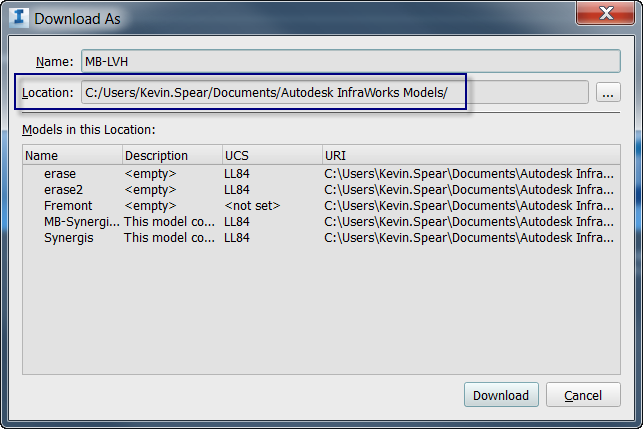 When you use Model Builder to generate a quick model OR are using the collaboration aspects of Infraworks, the application will download a model to a default location on your hard drive. 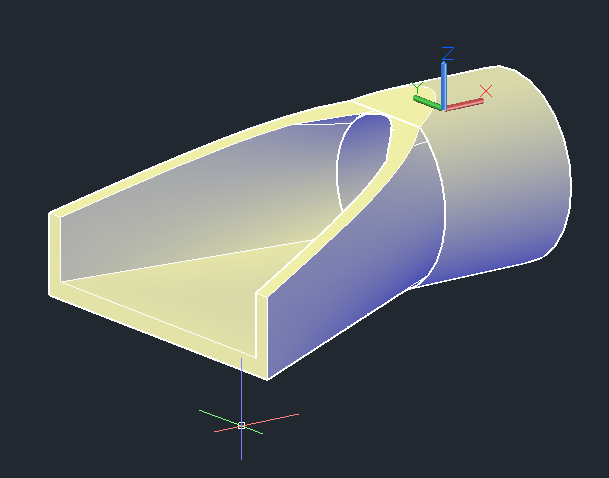 For most people this default location (C:\Users\\Documents\Autodesk InfraWorks Models) might be satisfactory. For me, I need to manage the location and subsquent models without having to dig too deep on my hard drive. 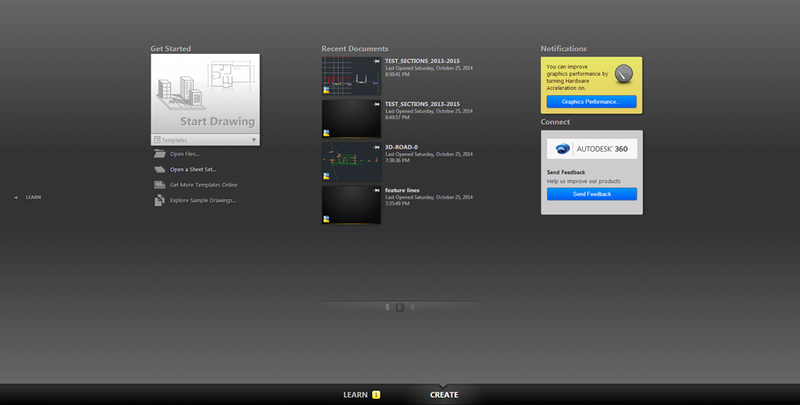 I prefer to use my secondary drive and a specific folder, in this case D:\Autodesk InfraWorks Models. That defines the requirement. You might prefer to use a folder in the root of your hard drive as well. How do you set a new location? Update: Infraworks360 2016 now has the ability to save/store the model on a network shared drive. 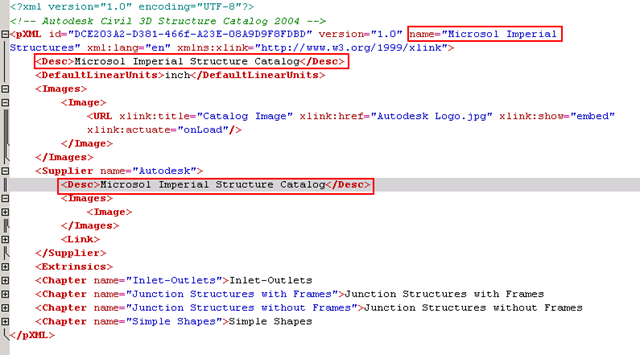 When Infraworks360 opens the model, it creates a local cache of the model for performance reasons. The model still resides on the network. Again, this post was intended to show how to enforce a specific location other than the default. You could previously browse to any local hard drive folder; but you had to do this every time. By hacking the registry, the desired destination would become permanent. 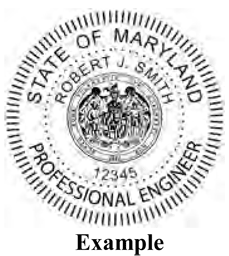 Hey… I just read (i got it almost 3 months ago in the mail…) the quarterly newsletter from the Maryland State Board of Engineers. An article in this newsletter caught my eye simply because every firm and government agency I visit is talking about how to streamline plan delivery and recording of said plans. It is linked to the document in such a manner that the digital signature is invalidated if any data in the document is modified. After the proposed regulations are published, there will be a comment period for the public to respond, followed by final action to adopt them at the next open meeting of the Board. A digital signature is a mathematical scheme for demonstrating the authenticity of a digital message or document. What do think, is this a digital signature? Me thinks this would meet three of the four requirements mentioned above. The difference is the fourth requirement – invalidating the signature if the file is modified. To get that level of authenticity, we can create our own PKI or self signed certificate. But this can be duplicated by anyone. What may be a solution is for a firm to create a Coporate PKI. Many states already have a requirement that the firm maintain a Certificate of Authenticity to practice Surveying/Engineering in a given state. Interestingly, Maryland is also implementing this requirement in October 2015. They are terming it a FIRM PERMIT. So, it seems that the onus of authenticity may shift from the individual to the firm in order to manage the digital stamps. What say you community?